Your guidebook might tell you that Guatemala City is unimpressive, dirty or even unsafe, leaving you with the impression that it’s a place to avoid. But as I’ve discovered to also be the case with San Jose, Costa Rica, Guatemala’s capital city can’t merely be summed in one sweeping brush of negativity. 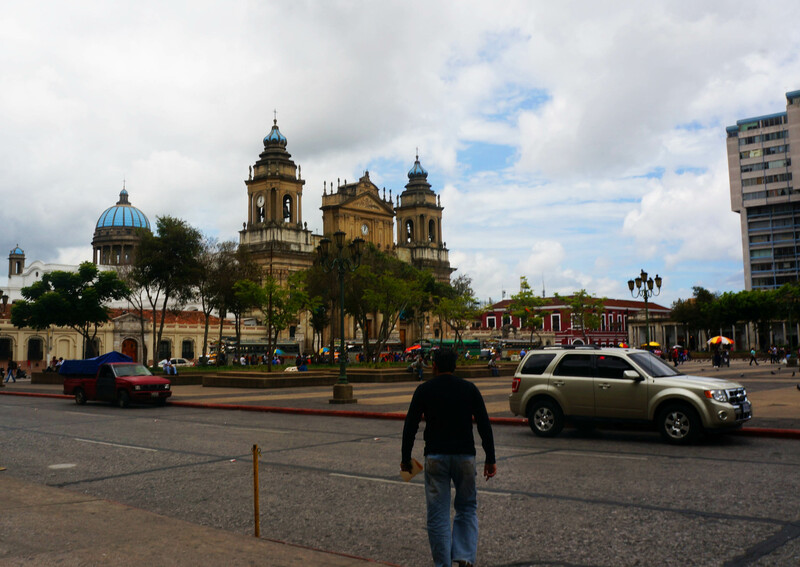 Guatemala City is an essential stop for the visitor who wants to go beyond the well-kept, bright souvenir shops of Antigua and get a better sense of what the economical, social and political situation is really like for the people who call Guate home. 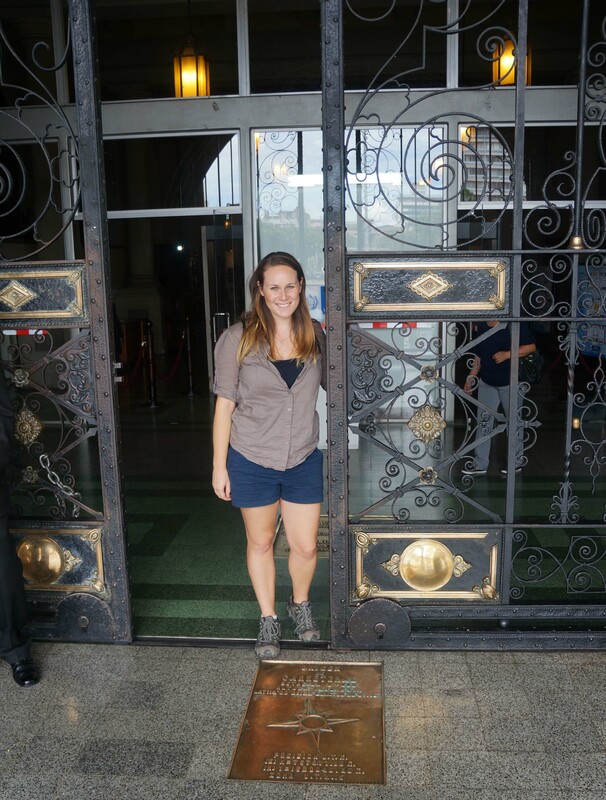 Due to safety concerns and the city’s sheer size, Guatemala City probably isn’t a place you want to explore on your own, but going on a day tour with a company like Voyageur Tours can help you safely see the sights and learn the facts that will transform your perspective of the city from an unkempt and underwhelming travel destination to the gateway to uncover the real Guatemala. With more than one million residents, Guatemala City is the largest city in Central America, the sub-continent of seven countries that runs from Guatemala down south to Panama. 3.7 million live in the city’s metropolitan area and more than 14 million live in the entire country. 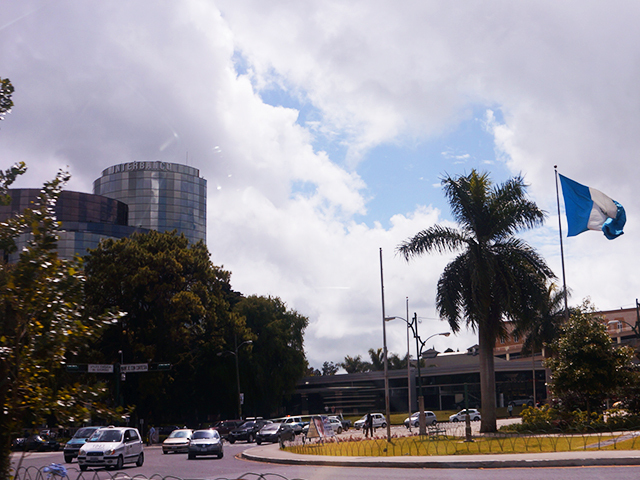 The capital moved here in 1776 from Antigua, a colonial city that was largely destroyed by earthquakes. 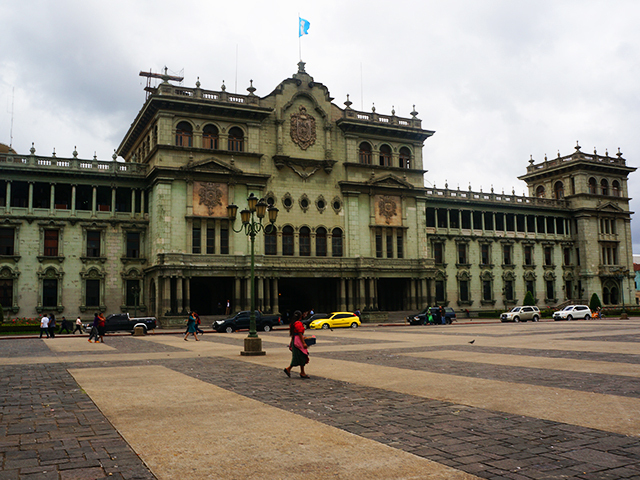 It took more than 100 years for the capital to resettle itself in Guatemala City. The city is arranged in a circular fashion in different zones. 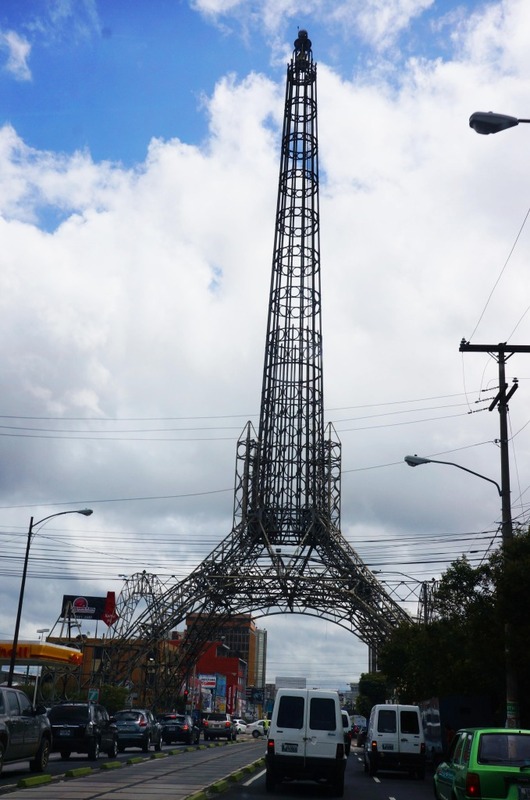 Ok, so Guatemala City doesn’t actually have the Eiffel Tower or even a replica, but residents joke that the Tower of the Reformer, found in zone nine, is their own version. The tower was built in 1935 in honor of the 100th anniversary of the birth of General Justo Rugino Barrios, a former Guatemalan President known for his liberal reforms to bring more social freedoms to the country. It was built by the United States Steel Products Company and debuted at the World’s Fair. “The history of our country is that corruption, natural disasters and a 30 year war have stalled progress,” Miguel from Voyaguer Tours told me as we drove around the city. 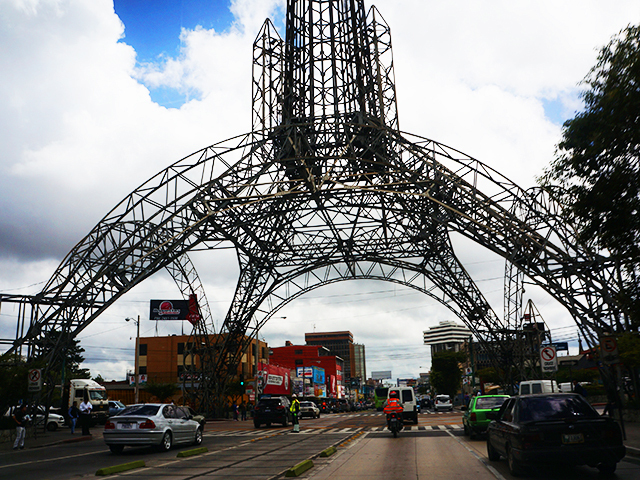 In Guatemala City you can observe the country’s social and political reality like nowhere else. The majority of wealth in the country is owned by just 13 families. This inequality lead to a brutal 36 year civil war that left the economy in shambles. The wealth gap in Guatemala is still very large. Poverty is rampant both in the countryside and cities. Many of the people living in poverty are Mayans. Guatemala is home to 22 Mayan tribes. In recent years many Mayan people have moved to the city center. You can see them walking around in their traditional clothing, selling food and handmade products. Historically the Mayan people have not had efficient access to information living in small, isolated pueblos. Illiteracy rates are high. Today, in a country of 14 million, there are 18 million cell phones. Tools like Twitter have been especially useful in disseminating information to this population group, sometimes even in their native languages. During the years following the civil war, civilians were afraid to speak out against the government in fear of retribution. As a new generation comes of age, people are becoming more vocal. Protesters were recently successful in forcing Vice President Roxana Baldetti to resign from her post following a corruption scandal. During my visit I got to see a (peaceful) protest. The people now wish for President Otto Perez to resign as well. Plaza Mayor is known as the “Center of Guatemala.” This large plaza is reminiscent of plazas in Mexico City. It is home to the impressive National Palace, once home to the country’s administrative hub. This grandiose building was constructed in 1943 by President Jorge Ubico. Daily tours allow visitors to enter the ornate rooms and Presidential Balcony which looks out upon the square. Another dominant feature of the plaza is the Catedral Metropolitana. 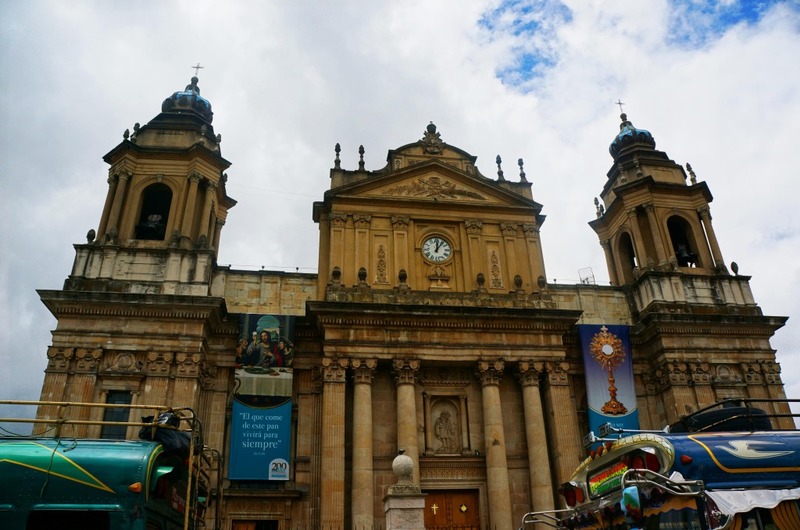 There are many churches in Guatemala City, but this is one of the best-known. It took 86 years to finish construction. The interior is a fine example of neo-Classical architecture. While in the plaza you should also stop by the fountain and take in the atmosphere of Mayan street vendors and families in the park. How many places in the world can you have a drink at the same bar as Che Guevara? 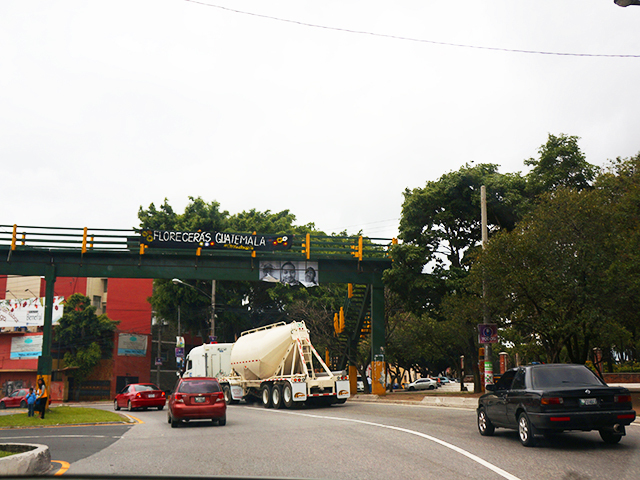 Depending on your political views, this may or not be a good thing, but in Guatemala City you can. 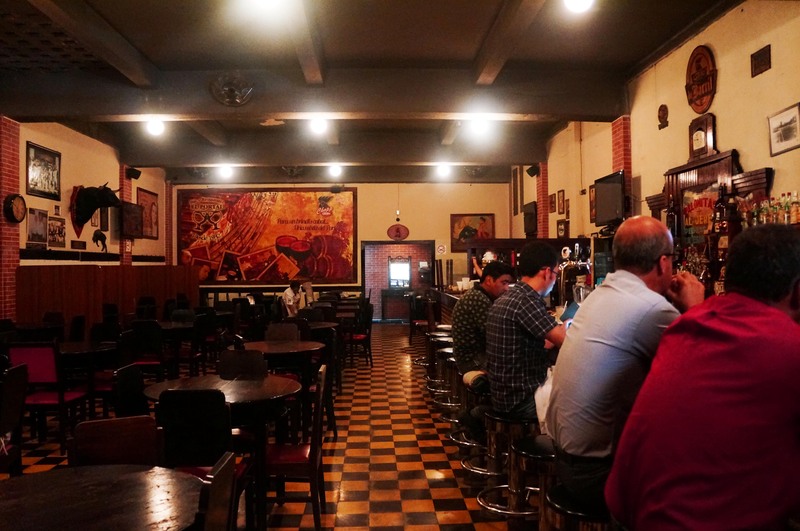 The Argentine revolutionary lived here during the 1950’s and one of the places he frequented was El Portal, a bar near the Plaza Constitutional. With a long wooden bar and bull heads on the walls the establishment feels like something out of a Hemingway novel. It is famous for its cervezas mixtas, or tap beers that are mixed together in a glass. Avenue 6 in downtown is one of the premier shopping districts in the capital city. This avenue was home to the first stop lights and paved roads in the city. 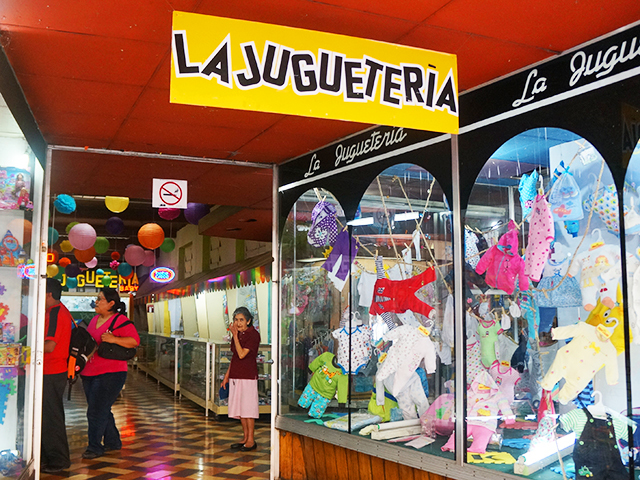 Along Avenue 6 is La Jugetaria, a family-operated toy store that has been open since 1927. Toys in here range from dolls and games to story books and costumes. Of course, you can also find many piñatas, a staple at children’s birthday parties. Despite their long history and commitment to quality and customer service, this toy shop is barely surviving. Because they are a legal and official business, they have to pay a lot in taxes. Meanwhile, illegal street vendors are able to sell the same products nearby for lower prices. Illegal vendors are hardly ever prosecuted in Guatemala. The owners say their situation is demonstrative of the struggles of operating a legitimate business in Guatemala. 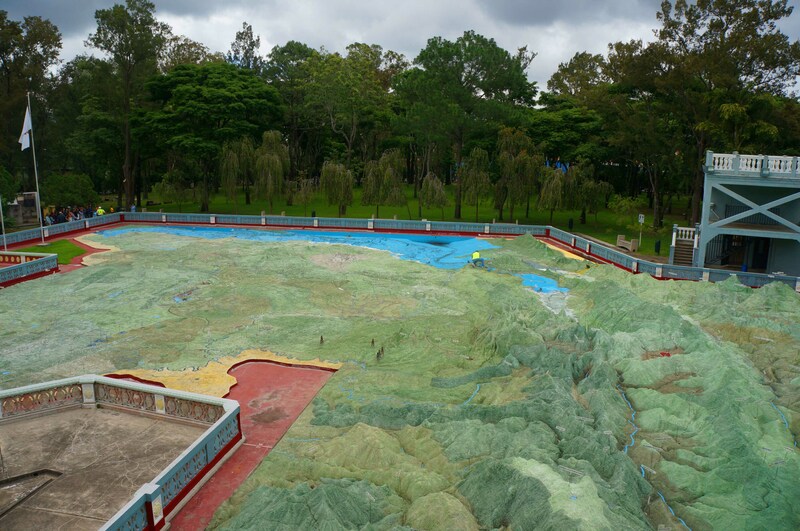 In Zone 2 a giant relief map fills a park, showing the mountains, volcanoes, rivers, valleys and coastlines that encompass Guatemala. The map was completed in 1905 by a man named Francisco Vela who spent several years riding around the country on a donkey and taking measurements of the landscape. More than 100 years later, the map is impressively accurate, so accurate that Google employees have visited the country to learn more about how it was made. The relief map is a great place to visit to understand the geography of the country, visualize the nature that makes up Guatemala, and see an overview of where the 22 different Mayan tribes live. 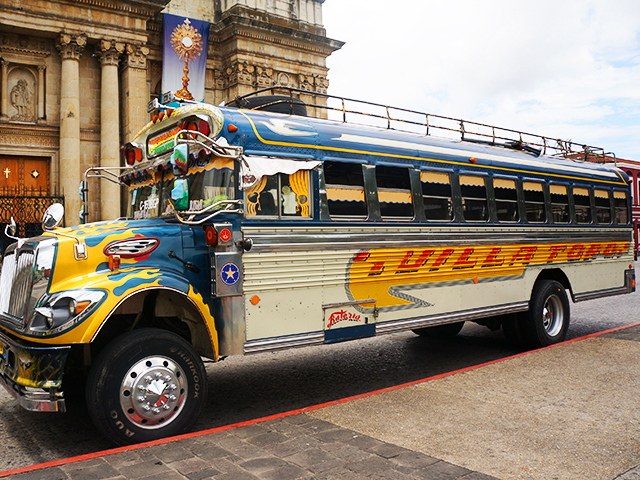 One of Guatemala’s most distinguishing features is its “chicken buses,” named for the swaking passengers who sometimes fill the seats – or roof – enroute to market. The Former school buses are donated from the United States. When they arrive in Guatemala the vehicles get shortened to better navigate the hills and roadways of the country and also get a faster engine put in. The buses are painted in different colors. Since the literacy rate is low in Guatemala, patrons can know where a bus is headed based on its colors without having to read. Guatemala has one of the most comprehensive bus systems in the world in the sense that it is possible to get to virtually every town in the country by bus. These buses serve as the primary means of transportation for the majority of locals. Yet, as a visitor it is not advised for you to ride the chicken buses. In recent years these buses have become very dangerous. Risks of violent crime and theft are rampant in this prime territory for gangs who have murdered more than 900 bus drivers during their robberies. 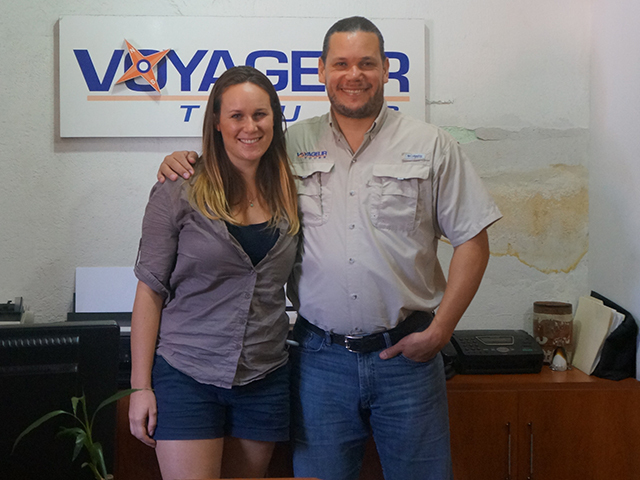 Note: A special thanks to Miguel of Voyageur Tours for showing me around Guatemala City. Voyageur Tours provides customized itineraries for tours around Guatemala. To book a tour with them, visit their website or email info@cometoguatemala.com. HotelsCombined offers the best rates on hotels around the world. Find and book your Guatemala City accommodation below.